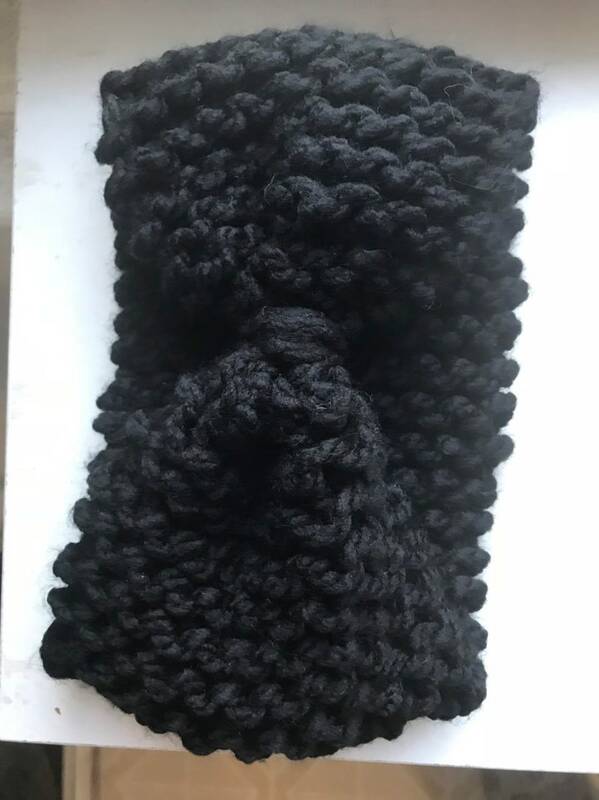 Black Knit Earwarmer Headband, Knit Headband, Turban, Ear Warmer, Winter Hairband, Winter Headband! This trendy headband will keep your ears warm and cozy! The cinched section can be worn in the center, side, or in the back of the head. Mustard Knit Earwarmer Headband, Knit Headband, Turban, Ear Warmer, Winter Hairband, Winter Headband! Mommy/Daddy and Dog Cowl: Matching Scarf for dog and adult!! name your color!